The weather has warmed up and that means lots of grilling. One of our favorite things to enjoy on the grill are hamburgers. Of course, I get bored easily so our burgers don’t typically just consist of ketchup and mustard. 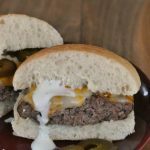 For Memorial Day, we cooked burgers on the grill and I made a jalapeno ranch Colby burger. The idea for this burger came as I was killing time at Walmart while H was in gymnastics one evening. The store had a little basket of jalapenos at the end of the salad dressing aisle and I just knew it was meant to go in one of the dressings. From there, it was easy to select cheeses to go on my burger. Our Walmart even carries fresh meat so I got every thing I needed for our Memorial Day barbecue in that one trip. Adding the extra Colby cheese on top just adds another dimension of flavor that is perfect. 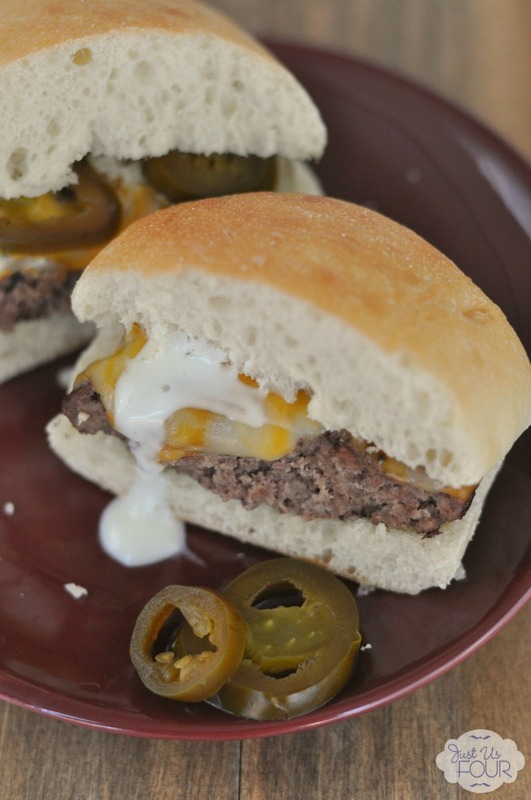 In a large bowl, combine ground beef, jalapeno and shredded cheese. Using hands, mix well until jalapeno and cheese are evenly distributed. Form into hamburgers. Heat grill to medium heat. Cook burgers over flame until desired level of doneness. 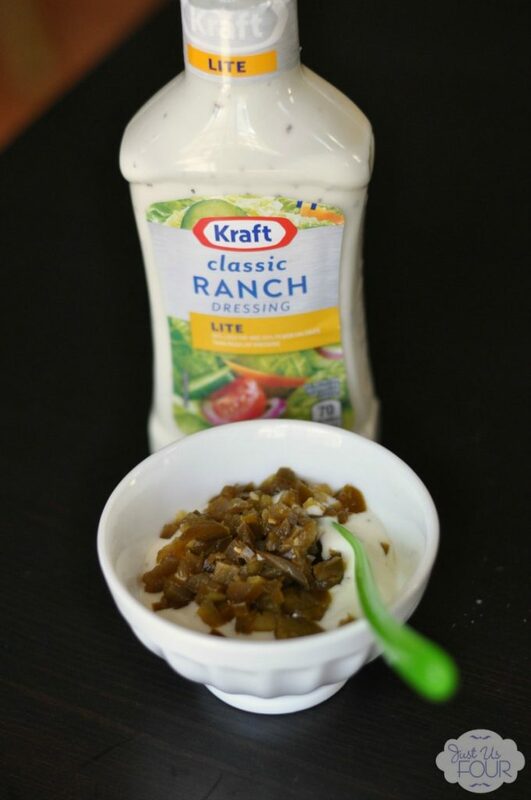 In a small bowl, combine ranch dressing and pickled jalapeno. Stir well. 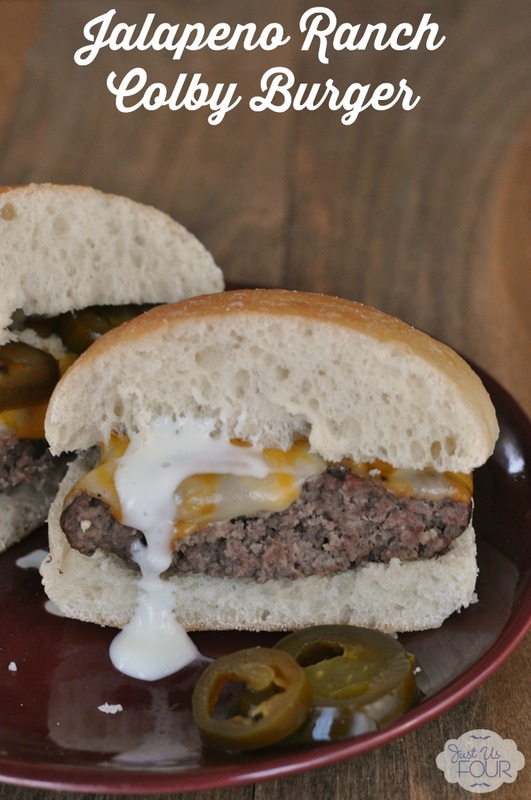 Place each burger on a hamburger bun, top with Colby jack cheese slice and jalapeno ranch. 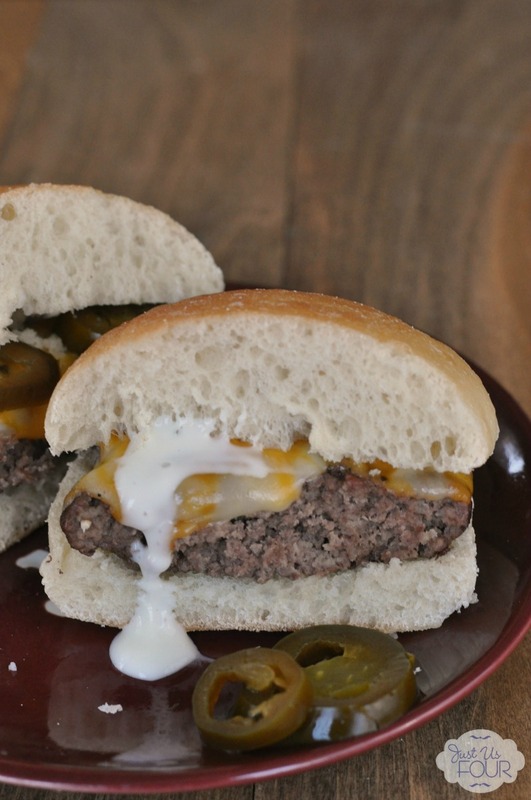 This jalapeno ranch has become a favorite for sandwiches and even a dip for vegetables. The little bit of heat that the jalapenos bring is perfect. On this burger, I just love it mixed with the melted cheese. What is your favorite way to enjoy a burger? Do you do a lot of grilling during the summer? Oh my gosh! How great would this be fore lunch today, except I’m working. Boo! Thanks for sharing, I’m pinning! I hope you have a great Memorial Day! Oh boo! I am sorry you had to work on Memorial Day! Hopefully you got some down time over the weekend. These looks SO delicious, Im going to have to make these for my husband! 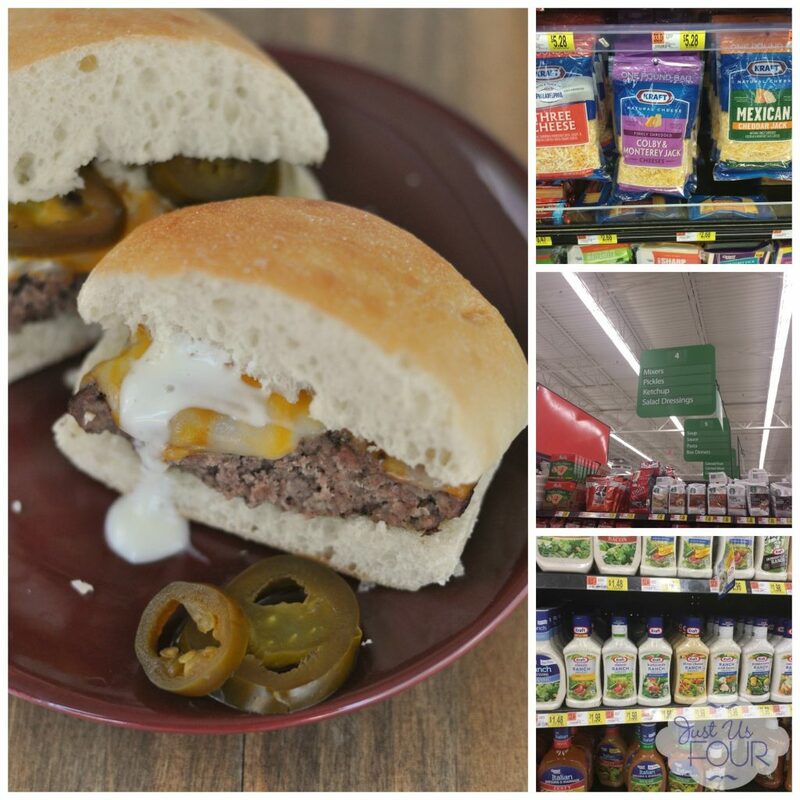 I love anything with Jalapeno Ranch! These look great! I love anything that is hot! So this is definitely something that I would try! Felicia recently posted…How Do You Define Success? This looks soooo good! I need to try it!